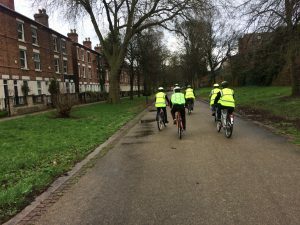 Our Better by Bike project is for anyone in Nottingham aged 18 or over who is experiencing stress, anxiety or depression that is affecting their day-to-day wellbeing. It doesn’t matter if you haven’t ridden a bike for ages or have no idea how to fix a puncture. We’ll be happy to teach you to do both! 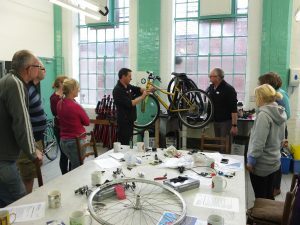 Sessions run every Tuesday from 10.30- 3.00 at Nottingham Bikeworks, Ayr Street Workshops, Ayr Street, Nottingham NG7 4FX. Generally, the mornings are workshop based and the afternoons you’ll be out riding your bike.